This is a book about cocktails, and how to make them. 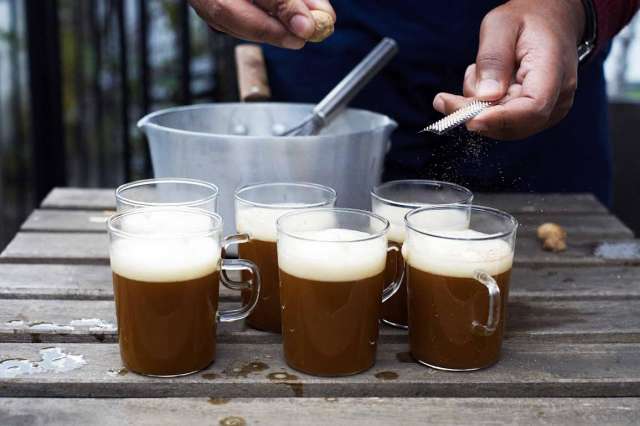 It’s by the brains behind a couple of London’s most exciting cocktail bars, the sort of places where the weird meets the wonderful in a glass. Cocktails are a dark art, an art that’s ripe for demystification. 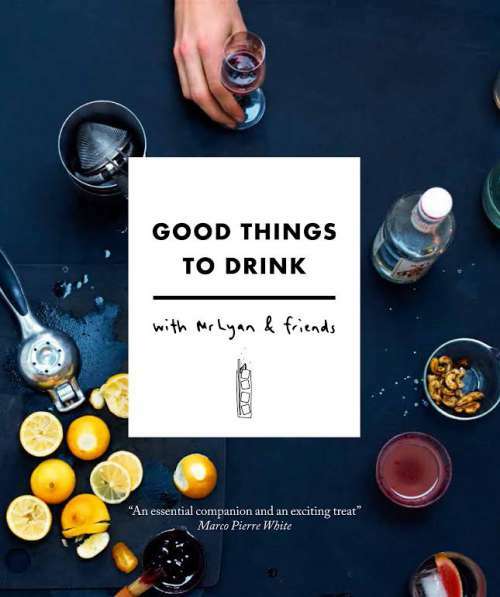 That’s exactly what Good Things to Drink with Mr Lyan and Friends does – it sets out in scientific detail how to build and construct some stunning and complex drinks. This is about more than just slamming some gin, tonic and a slice of lemon in a glass and hoping for the best. This is about pushing things out there a bit, about trying to bring some of the knowledge honed in high-end and professional cocktail bars within reach of the home mixologist, and it definitely succeeds in doing that. Alright, I made that one up, but it *so* could be in there. It just about stays the right side of the line, mainly because the recipes and drinks are so incredibly good. This is a comprehensive guide to making some great cocktails, many of which have a new angle or twist, a fresh approach to old standards. There’s much to experiment with, and whilst some of the ingredients might be a tad esoteric and hard to get hold of (they didn’t have any fresh wheatgrass the last time I was in Asda), I reckon that most things could be rounded up in a good off license, a big supermarket, and maybe in somewhere like an Asian food store. The other thing that’s pushed throughout is the need to use the best quality ingredients for the best results. This isn’t always the case with cooking in general … think of the transformation of a clutch of cheap ingredients into a slow cooked beef stew, for example, but it makes a lot of sense in the cocktail glass. That means that things are going to get expensive very, very quickly, and unless you’re going to make a lot of cocktails (which you very well might), it also means that you’re going to have a lot of top-quality alcohol left over. I’d suggest starting out with a cocktail based on something you know you like, and experimenting with some of the various riffs suggested in the book from there. This is above everything else a book of ideas, and it’s packed with them. It’s infectious and endearing, slick and fashionable, but with plenty of depth and plenty of guidance on how to get things done properly,full of new takes and techniques. Very good fun.